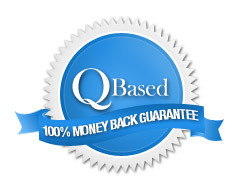 Bed Bug Covers :: Shop.Qbased.com :: An integrated pest management for bed bugs. Our Secure Sleep Premium Bed Bug Covers are endorsed by the American Mattress association due to their dual function. These very comfortable Bed Bug covers fully encases your mattress to prevent bed bugs and dust mites, dust or allergens from entering your mattress or escaping if your mattress or box spring is infested. SecureSleep Bed Bug Covers features patented "Zip Tech" zipper technology with 3-way protection and reinforced zipper closure and seams to keep bed bugs out! Our soft, yet breathable fabric is made from micro-polyester and has an interior nano-urethane lining specifically making the Bed Bug Covers long-lasting, durable, water resistant and does not allow any penetration by bed bugs. Our bed bug covers are a recognized part of IPM principles that you must use to control bed bugs.